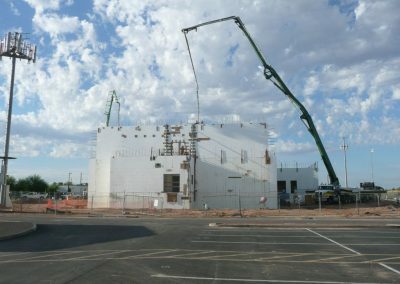 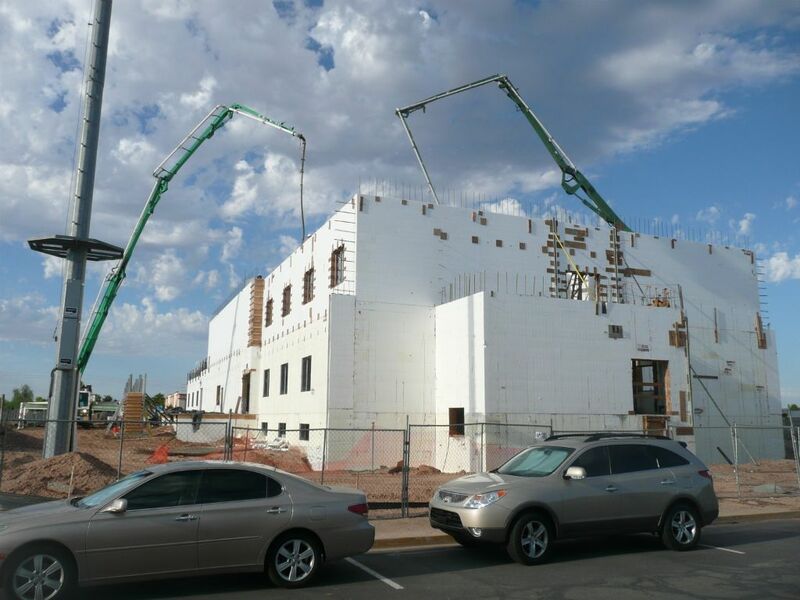 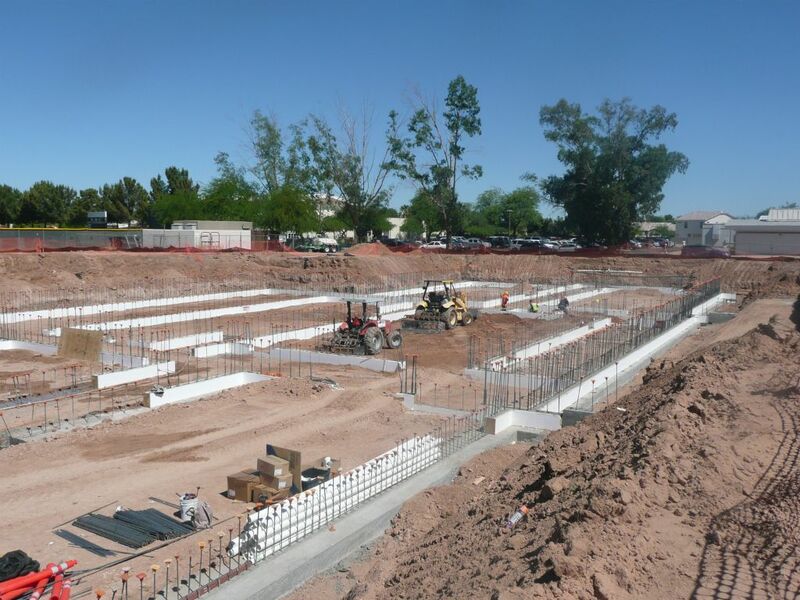 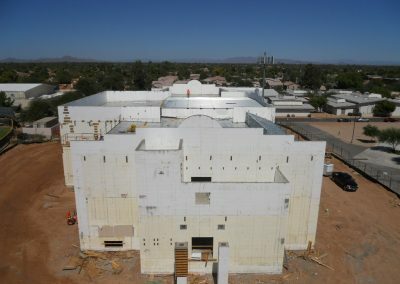 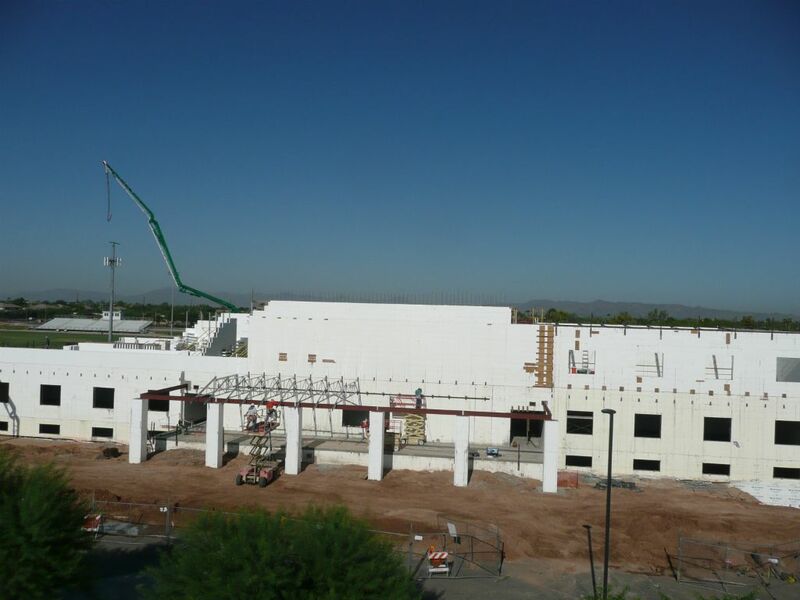 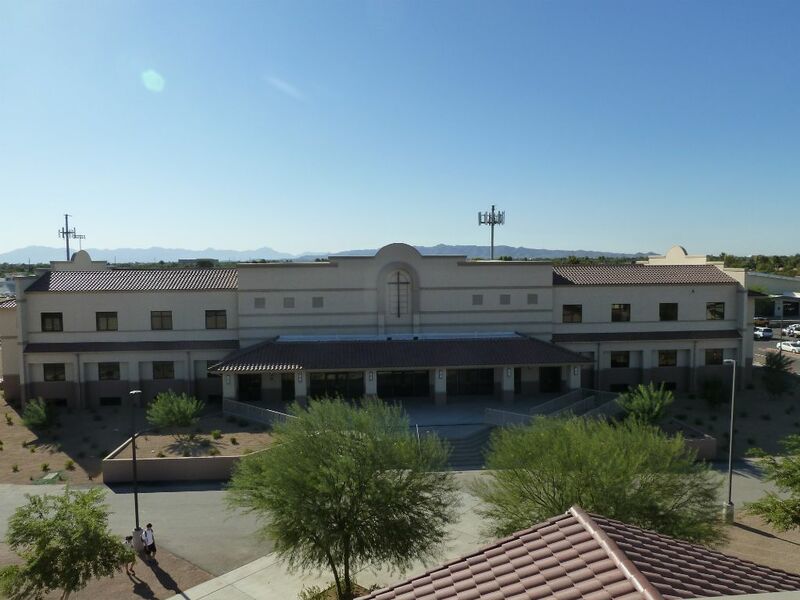 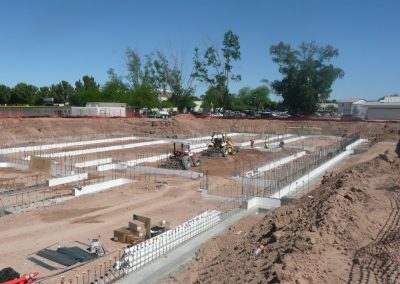 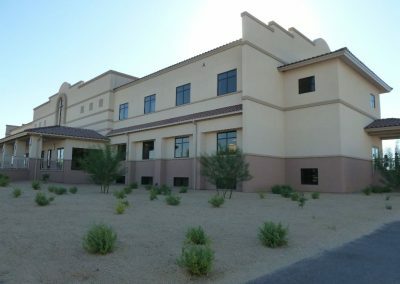 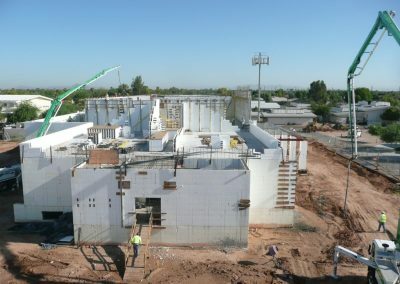 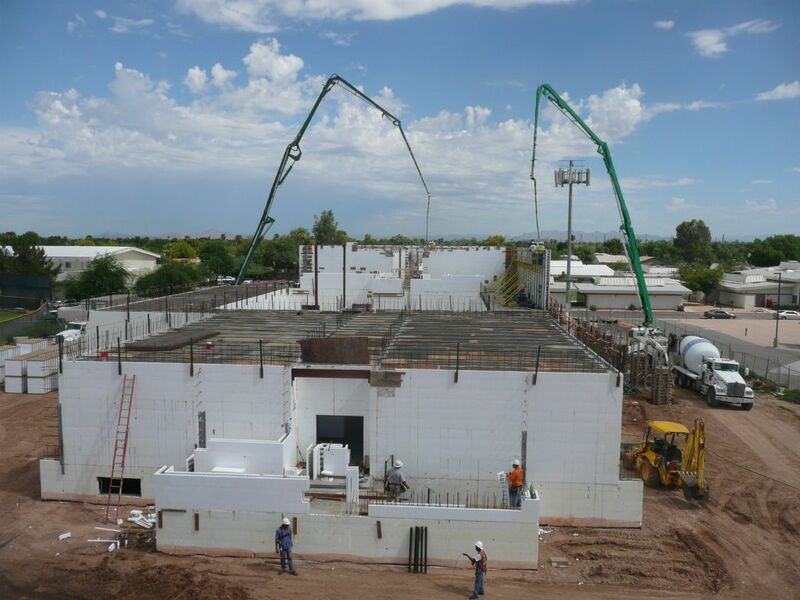 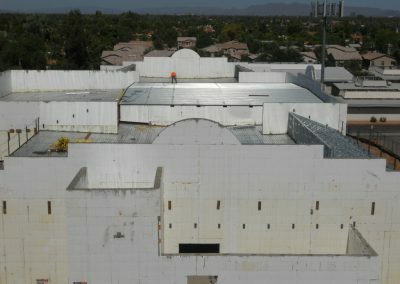 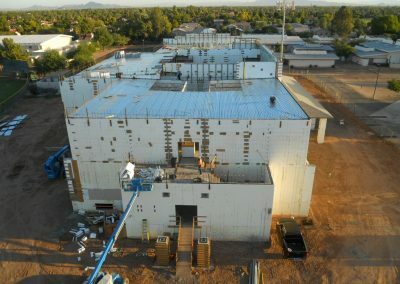 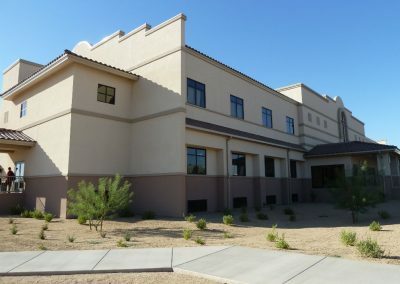 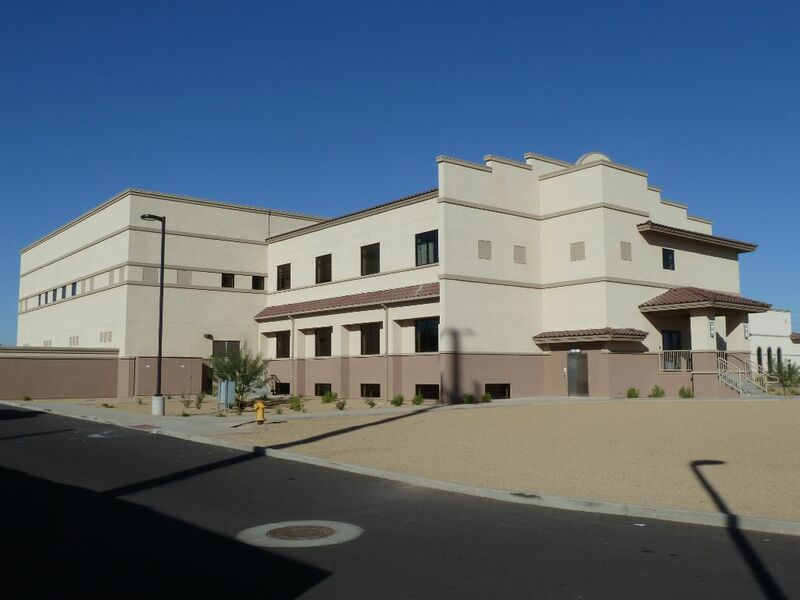 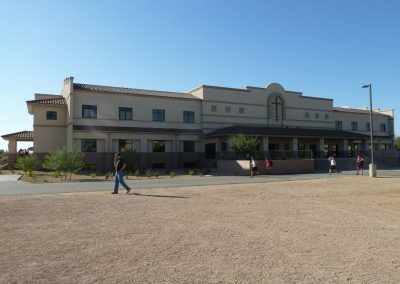 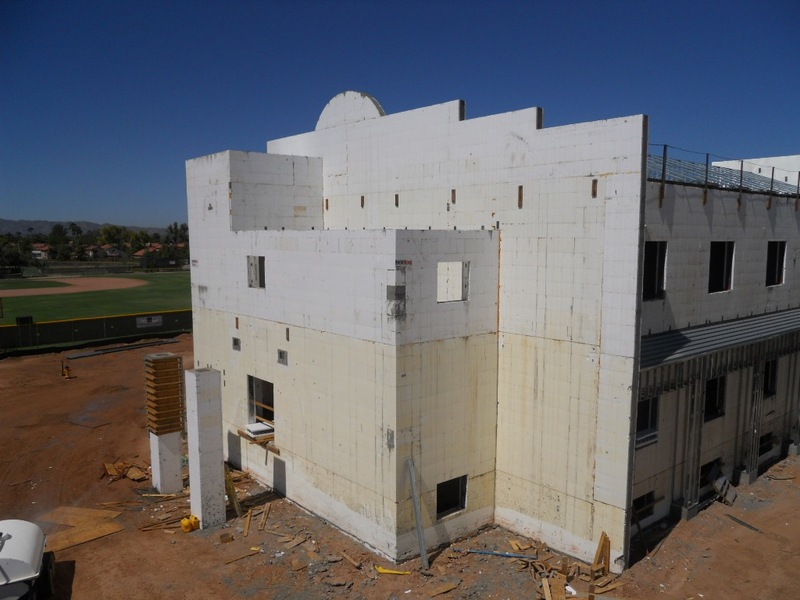 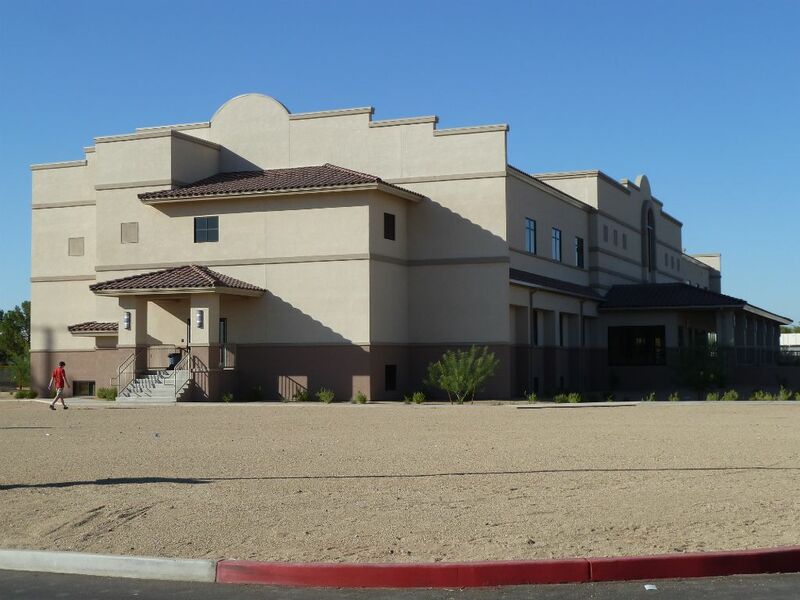 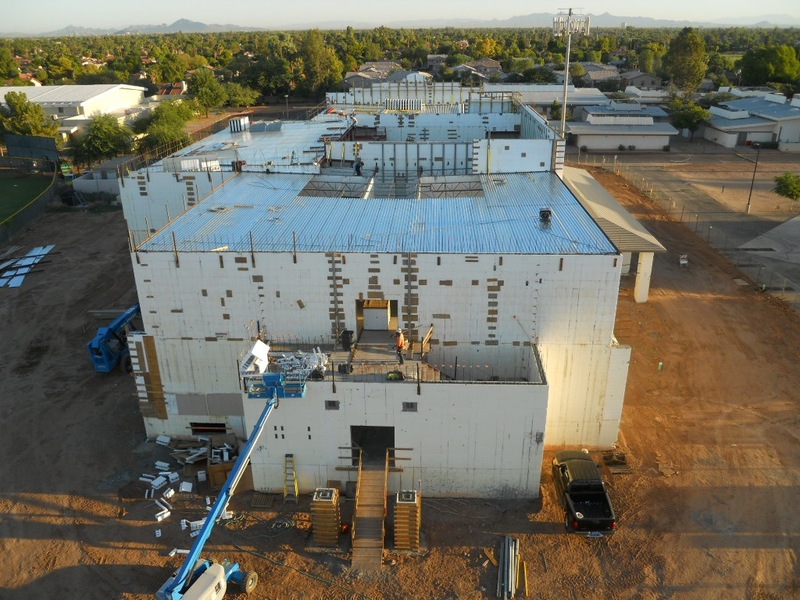 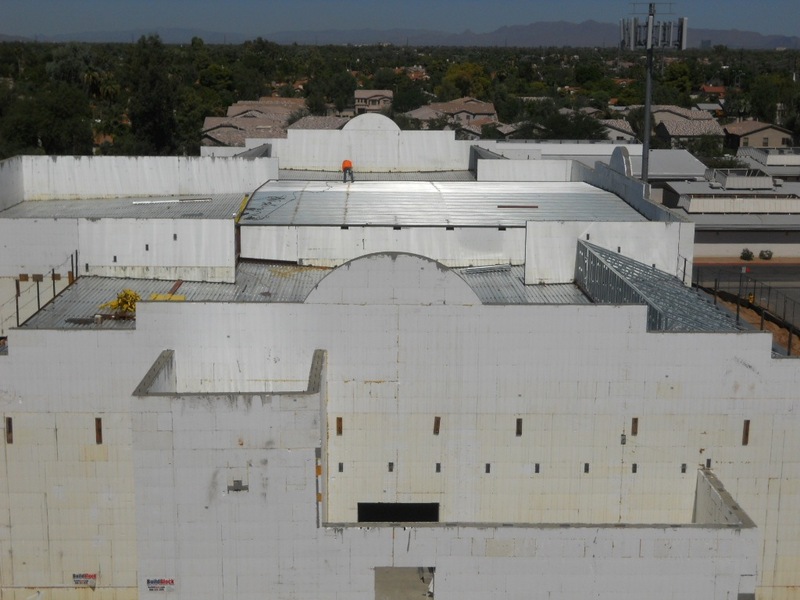 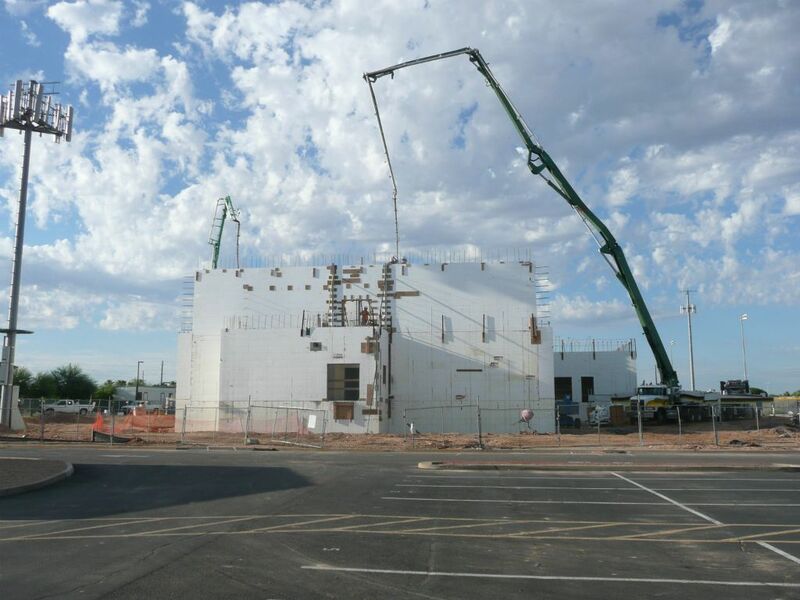 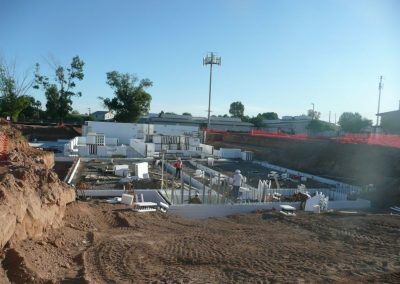 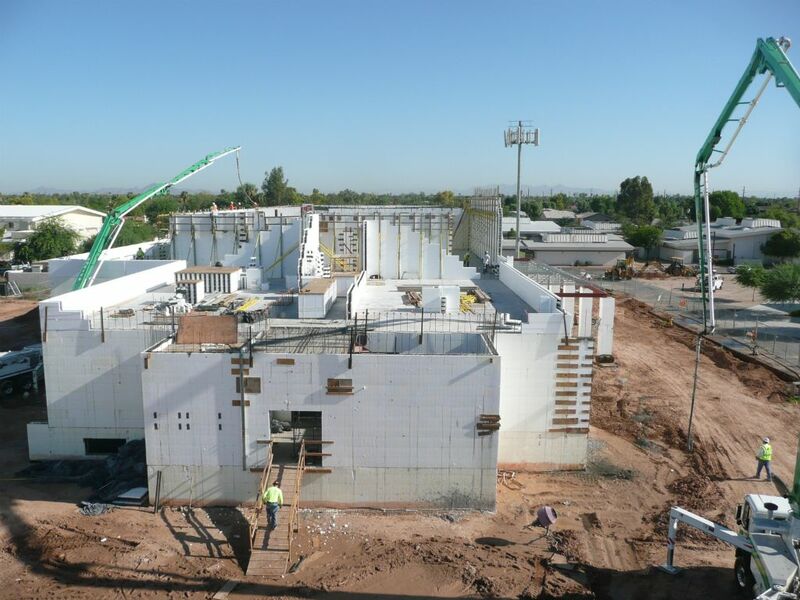 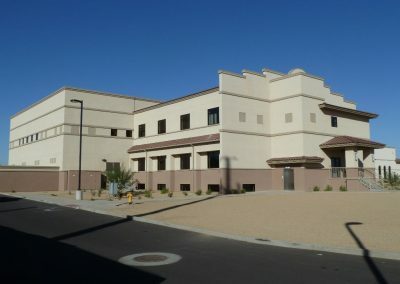 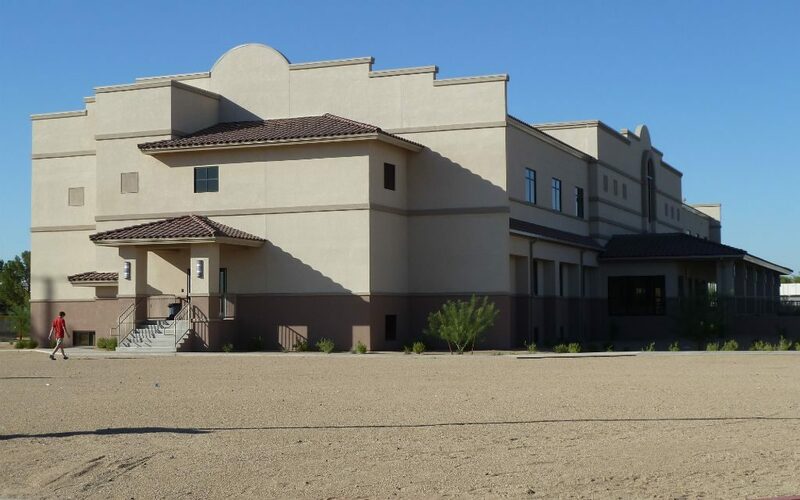 The Phoenix Archdiocese has become a major influence in the ICF industry; they’ve built no fewer than 10 major ICF projects in the area, with at least eight more on the drawing board. The tight construction schedule and immense volume of concrete required—nearly 4,000 yards—meant that pour days usually required two pumpers working simultaneously. 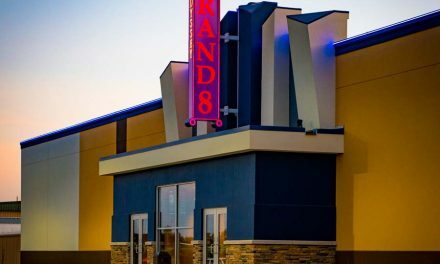 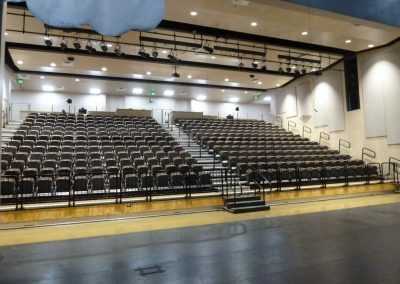 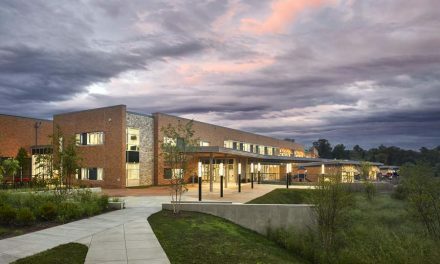 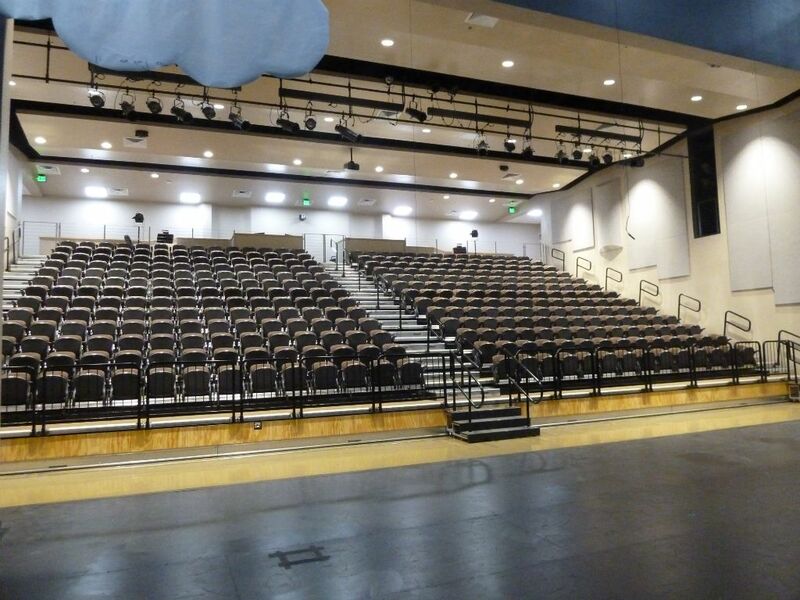 Fetters faced tight deadlines, as Redden Construction, the general contractor, had committed to an ambitious schedule. 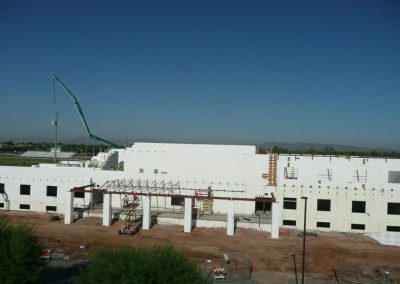 In the end, the crew from ICF Specialist erected 117,000 sq. 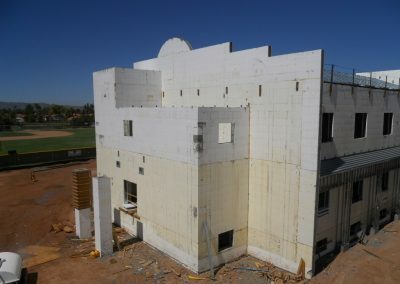 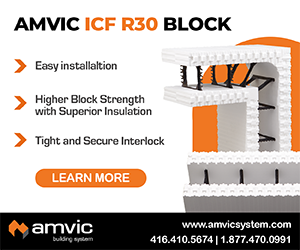 ft of ICF walls in 135 days. 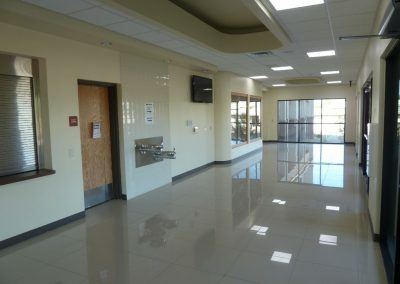 Thomas Johns, the project manager for Redden Construction, turned the building over to its new owners 412 days after breaking ground. 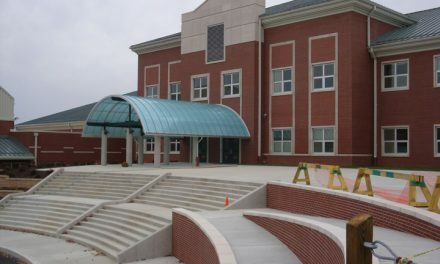 Seton Catholic pioneered several new products as well. 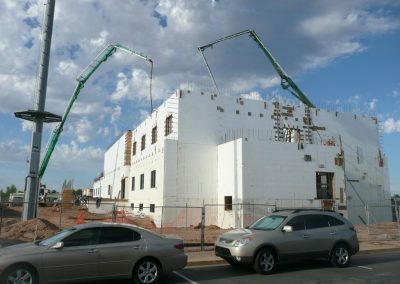 It was the first large-scale use of BuildBlock’s knockdown form, BuildLock. 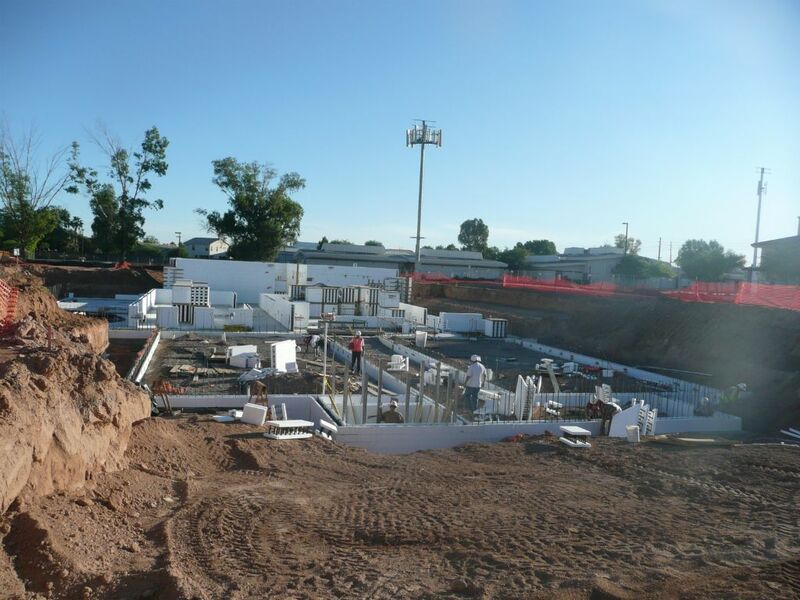 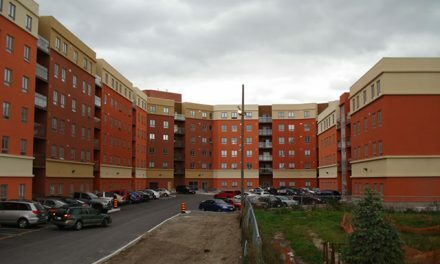 Fetters says, “These forms were instrumental in construction of deep basement walls and heavy vertical rebar schedule. 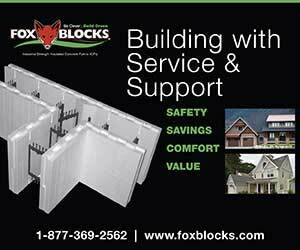 They stood up to the extreme head pressures we sometimes generated with zero blowouts. 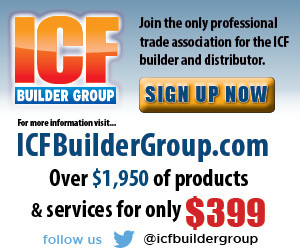 Owner has built 11 large-scale ICF structures, with nine more on the drawing board.